Looking for a quick, easy project that will result in something you or a friend will actually wear? How about this adorable chunky crochet beanie? Bonus, it only takes 30 minutes to make! 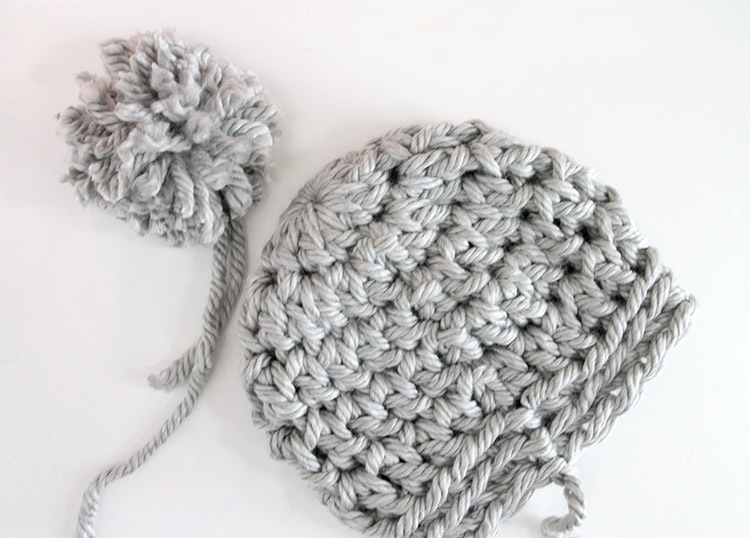 In order to make your comfy beanie, you’ll need some bulky yarn (the pattern suggests using one skein of Bernat’s Mega Bulky) and a size “S” or “Q” crochet hook, as well as a pair of scissors. Depending on which hook you use, the beanie will either be a snug fit or a slouchy fit. It should be noted that the pattern uses American crochet terms. If you prefer to watch your instructions rather than read them, Persia Lou has created a video tutorial available on YouTube as well as the pattern page. I find reading the pattern and then watching the video extremely helpful, especially if there are stitches I haven’t used much. The great thing about this hat is that it’s completed in seven rounds, leaving you with enough time to adorn it with a pom pom if you so desire. There aren’t any difficult stitches, and they should all be familiar to any crocheter regardless of skill level. It’s a simple, quick, cute beanie that’ll help you bust your stash and give you something cozy to wear on those windy days. Of course, if you’re up for more of a challenge, you could try alternating colors, using two different types of yarn, or adding ribbon or buttons to the beanie after it is complete. Customizing is part of the fun once you’ve gotten the hang of something and this beanie in particular is easy enough that you can experiment with it and come up with your own variations to the pattern. You could even add a brim or earwarmers. This super cozy crochet pattern only takes half an hour, and you get to use a giant crochet hook. If this beanie sounds like something right up your alley, check out the free 30 minute pattern over at Persia Lou. You might also want to sign up for the newsletter to keep updated on new free patterns.